ICC U19 CWC 2018 ambassador Corey Anderson fielded fans' questions in the lead-up to the tournament. New Zealand all-rounder Corey Anderson has fond memories of the ICC U19 Cricket World Cup, having competed in the competition in 2008 in Malaysia and in 2010 in his home country. With the tournament returning to New Zealand for the 2018 edition, Anderson was named event ambassador and he answered a wide variety of questions from fans on reddit – some funny, some serious. Asked to pick out the best innings he has ever played, the 27-year-old chose his half-century in the 2015 ICC World Cup semi-final which helped New Zealand defeat South Africa by four wickets in a last-ball thriller. "Most of you will think that my ODI hundred [scored off just 36 deliveries against West Indies in 2014, at the time the fastest century in the format] would be my best game, but the situation and stage of the game matter a massive amount rather than the total. I scored 60-odd in the semi-final of the 2015 World Cup against South Africa, and it was my first time in a 50-over World Cup. All of these points, and the result of the game, made it probably one of my best and definitely up there as one of my favourites." From highlight to lowlight, Anderson said his most embarrassing moment on the cricket field came during a first-class fixture in New Zealand. "I was bowling, and we had been bowling for a long time, but not long after lunch. Something didn't quite agree with me and I threw up halfway through the over at the top of my mark!" The hard-hitting Kiwi also opened up on the back problems that have frustrated him throughout his career. "Having to stop and start, numerous times, almost got to me. There were plenty of times I thought that I didn't want to play and asked if it was worth going through the pain of it all again. I've had surgery on it now, and I'm feeling great. You have to have a goal – that doesn't mean a return date, but you have to ask yourself, 'What do I want to be when I'm back. What do I want to see myself as when I return?'" 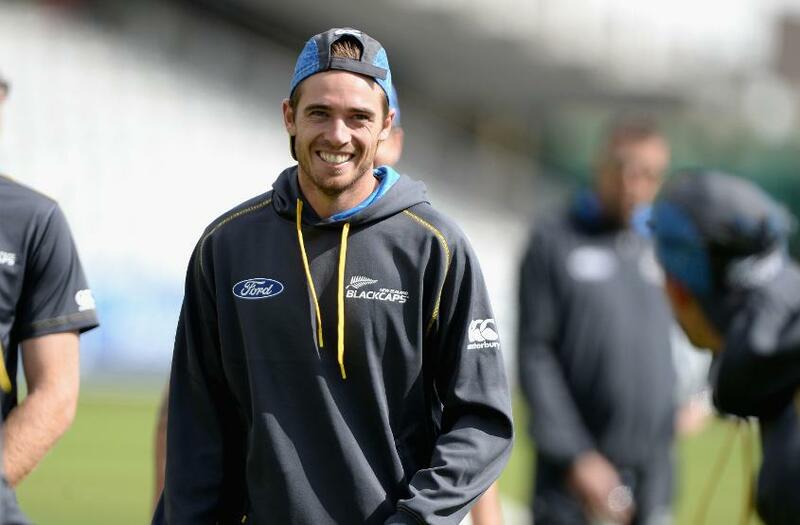 In a series of quick-fire answers, Anderson described Black Caps seamer Tim Southee as having the worst locker-room banter, AB de Villiers as his favourite non-Kiwi batsman, but Virat Kohli as the best cross-format batter in the world. He also described keeper-batsman Luke Ronchi as the best teammate he's played with. "I've played with a lot of top blokes in my short career so far," he explained, "but Luke Ronchi is one of the greats to have in the side! He put the team first with everything. He'd stay after training to throw balls at batsman, he did what ever he could to be there for everyone. And he's a wise man, with a great cricket brain." Outside of cricket he revealed his love for Japanese and Indian street food, picking out papdi chaat as a particular favourite. He's also a big fan of Pokémon: "I always chose Squirtle when I was on the Game Boy!" Finally, Anderson explained what he would like to be doing if he wasn't a cricketer. "I love designing homes, as strange as that may seem for a cricketer," he said. "I've always loved it. So I'd possibly have been an architect, or an interior designer. Hopefully I can stick with cricket for a bit longer!"